@elgeko made an image for the show background! @enterthespectrum will be our next guest! @sirlunchthehost is now putting together an audio/visual intro for TSE show! I have been having some great talks with potential guests for the future! 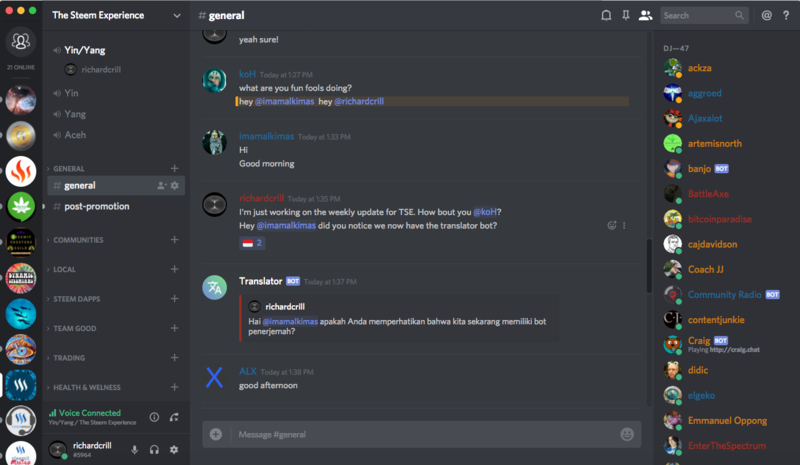 I also have lots of big plans to update The Steem Experience community run discord channel, more on that to come soon! Right before the show last Wednesday @elgeko whipped up a background image for the show! So cool how it worked out. I've been too busy do some simple things like that so for him to do that just because he saw it was needed was really cool! I've been chatting with @enterthespectrum and I think this next show is going to be really cool. We've talked about some cool things but we still need to narrow it down a bit before I can say what the theme for this weeks show is, but I will update on that right before the show. I have always dug @sirlunchthehost's audio visual work and I've been thinking about how to get a cool intro done for TSE show, so when he popped on the discord today, it occurred to me what was obvious to do. So now @sirlunchthehost is working an awesome intro for the show! Ah, the power of STEEM! This update was mostly about the show but I'm happy that this thing is coming together so much like my original vision but also evolving into more than I could have imagined! 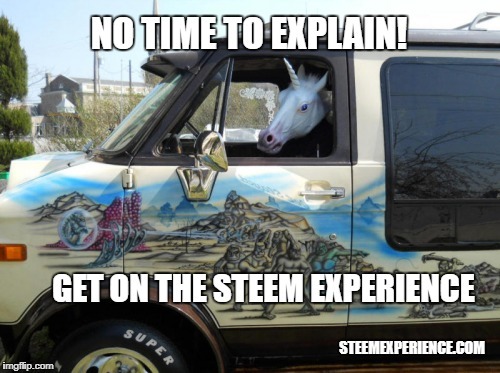 As the discord server and the show grow in popularity I am continually excited about the future of The Steem Experience Community! TSE 02 with @iamnotageek New! I'm just that old. Pray and ask Jesus into your heart.